Remove duplicate items from the DBX file. DBX Merge tool provides a facility to merge two (or more than two) DBX files into a single or common DBX file. If you have multiple DBX file in archive then Combine DBX files. Join DBX files is a way to save you all files or folders in a separate manner without combining same named folders. If two files of different DBX files are inbox1.dbx and inbox2.dbx then both files will save in the folders separately. The tool provide the facility to remove the duplicate files. DBX Merge Software removes the duplicate items after merging DBX files. DBX Merge helps to save the Meta data in their original form after merging the two DBX files. Meta data of an email are like subject, Cc, Bcc, etc. You can merge all DBX files as it is with their attachments. Is there any way to merge the DBX files without using Outlook Express? Yes, you can merge DBX files by using the DBX Merge tool. What is the difference between Merge Option and Join Option? In this option when we join two DBX files, it saves the files separately in the new DBX file such as inbox1.dbx and inbox2.dbx will be the two folders if we join two DBX files. Merge Option helps you to merge two or more files into one file. 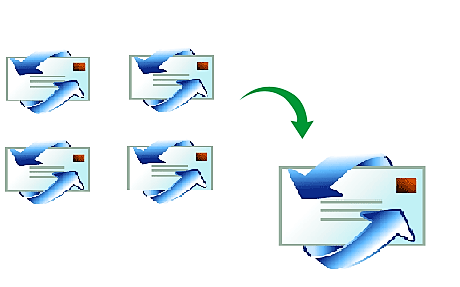 It creates a common folder and save all email files into their respective folder. Can I save the new merge DBX file according to my choice? Yes, you can save the merged DBX file anywhere and in any folder. I always travels due to my work and I saved my email files on my desktop and Laptop both. It was difficult for me to manage both email files. I used this DBX Merge tool and I merge my files and now I can access them from anywhere. This DBX Merge Software is good to save the time and manage all data easily. I recommend this tool to everyone who want to merge their multiple DBX files into single DBX file and save their lots of time.